When you deal with Houde Mechanical, you're not just a customer, you're part of our family. 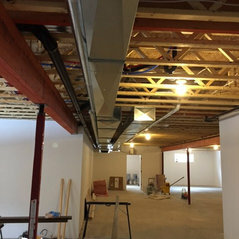 Houde Mechanical has been servicing Cornwall and area for over 50 years. 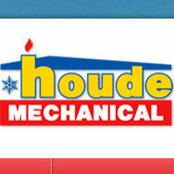 Houde Mechanical Inc specializes in your homes heating, cooling, ventilation and hot water needs. With over 55 years in business we are your community specialists. Whether you want to heat with gas, propane, oil or electricity we are able to offer you an array of products with various options to meet your homes needs and budget. Our services are offered in both French and English to meet your needs. Our team, or as we like to call ourselves, the Houde Mechanical Family are all fully trained and licensed. Our staff consists of fully licensed sheet metal workers, gas/oil/propane technicians and certified refrigeration technicians. 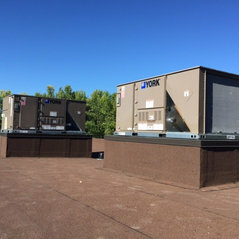 We are your sheet metal and ventilation experts. They pride themselves on their commitment to excellence, customer service and clean work environments. Each employee is selected because they meet our criteria of providing excellence and need to meet the family culture of our work environment. Let the Houde Mechanical Team welcome you into our family! 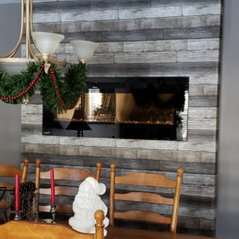 Steve and Lynn Tourangeau purchased Houde Mechanical Inc in 2004, and have been committed to the growth, service and products that the company provides to our customers. Steve has over 25 years experience in the heating/cooling/ ventilation field and is a Red Seal Sheet Metal Worker, having apprenticed and worked with the Houde family. Hot water tank ,furnace plus A/C installed. Excellent service they service all my equipment once a year. No problems setting up an appointment always on time.